Never ever thought I'd see this machine again! Simply amazing and beautiful! Will be there today to see all these incredible Pinball machines!! 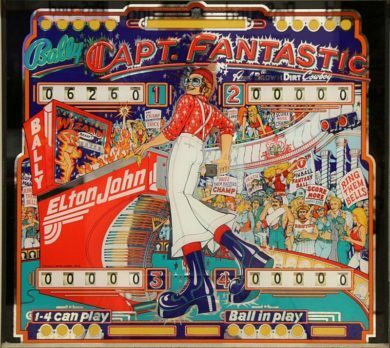 1st time I saw and played this machine was the bowling alley in newmarket.I spent alot of time and quarters on this machine,to my recollection it was the 1st double flipper machine I had seen.The art work on this and all machines is absolutely stunning.this machine is hands down 1 of my favorites,had an incredible time playing it again.Huge thanks Mike,it was great chatting with you about my fave machines from my teen years. MY FAVOURITE GAME OF ALL TIME. Major part of my childhood. Put so much $$ in this machine, I should own one by now..😂😂 Would like to own one someday.